2. Slice each apple in half lengthwise and scoop out the core and seeds from both apple halves using a melon baller or measuring spoon. Lay each apple, cut side down, and thinly slice each apple half, leaving the halves intact. Set aside. 3. Pour flour, baking powder and salt into a mixing bowl and whisk together. 4. In another mixing bowl combine butter and sugar and beat together with an electric hand mixer until light and fluffy. 5. Scrape down sides of the bowl and add eggs, lemon juice and vanilla and continue to mix together. 6. Scrape down sides of the bowl again and add flour mixture to butter mixture and stir together until just combined and no lumps remain. Fold in milk until just combined. 7. Lightly grease a 9 inch cake pan (or spring form pan) and pour the cake batter into the pan, evening out the surface with an offset spatula or the back of a spoon. 8. 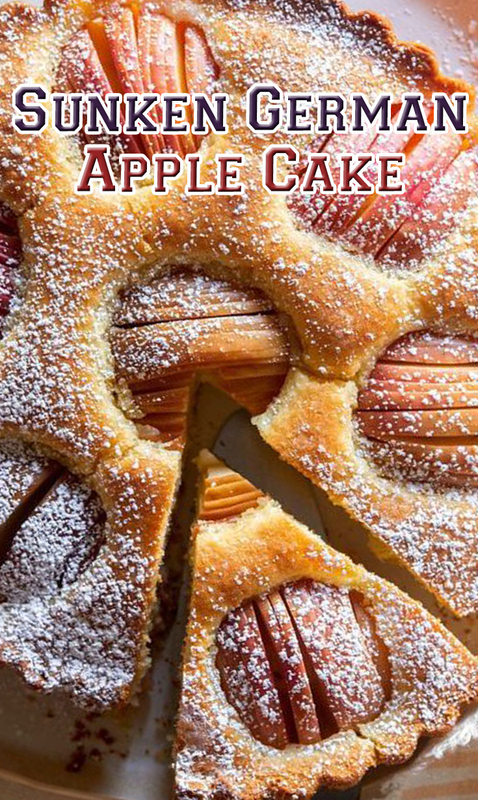 Carefully place each apple half, cut side down, around the edge of the cake, about 1/2 inch apart, creating a ring. Place the final apple half in the center of the cake. 9. Place cake pan onto a baking sheet and bake for 40 to 45 minutes or until a toothpick comes out clean when inserted into the center area of the cake. 10. Remove from the oven and allow cake to cool, about 30 minutes. Remove cake from the pan and transfer to a platter or cake stand. 11. Lightly dust with powdered sugar, slice and serve.